SIMPLETEC Stamping Characters are made from alloy steel suitable to withstand temperatures above 850º C of the rail during rolling. 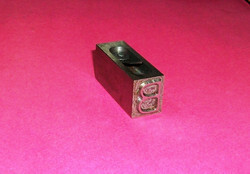 These are designed for quick fitment on to the marking wheel of the Rail Stamping Machine. 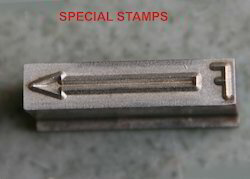 Characters are also supplied for other stamping requirements. Application: Batch, Serial, Product code marking etc. We Manufacture best quality of Letter punches with zero defects and long lasting productivity. We are persistently striving to sustain our high credibility in the market by putting forth an extensive gamut of Low Stress Punches.